Marin County is home to many famous destinations starting with the Golden Gate Bridge and extending all the way to Point Reyes National Seashore. See it all! But also: set a day aside for living like a local. You should know our quality of life is pretty spectacular here, so spending a day like a local isn’t a compromise. We live in one of the most beautiful spots on the planet, we eat fresh food in the place that pioneered farm to table cuisine, there are a million ways to chill out, and our fellow Marin-ites are committed to preserving everything that makes Marin marvelous. Enough about us; let’s get you out there so you can see for yourself! We’ve designed an itinerary that includes destinations that are smaller, quieter and less crowded than some of their famous siblings in Marin. They’re places where you’ll find Marin-ites and people from all over the Bay Area hanging out. 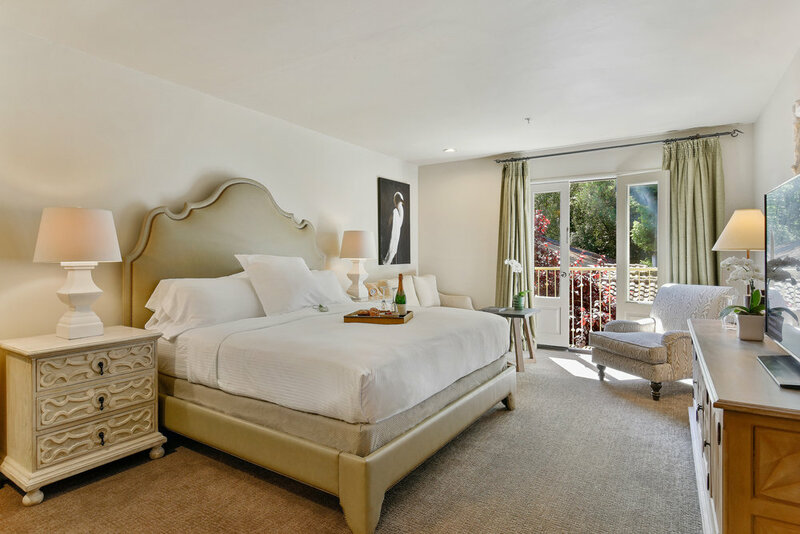 The beautiful drive — wandering through the small towns, redwood forests, and rolling hills of Marin — is about 85 miles round trip from Acqua Hotel. Add on a few miles if you’re staying at Waters Edge Hotel or Mill Valley Inn. In any case, plan to be out most of the day. Let’s go! MH Bread and Butter. Start your day at MH Bread and Butter in charming small town of San Anselmo, where you’ll breakfast with a local crowd enjoying menu items like beet hummus toast and creamy polenta with poached eggs. Opening hours are 7am M-Sat and 8am on Sunday; arrive early to avoid a wait. p.s. All the bread is made on-site and it’s not a bad idea to take a loaf to-go. 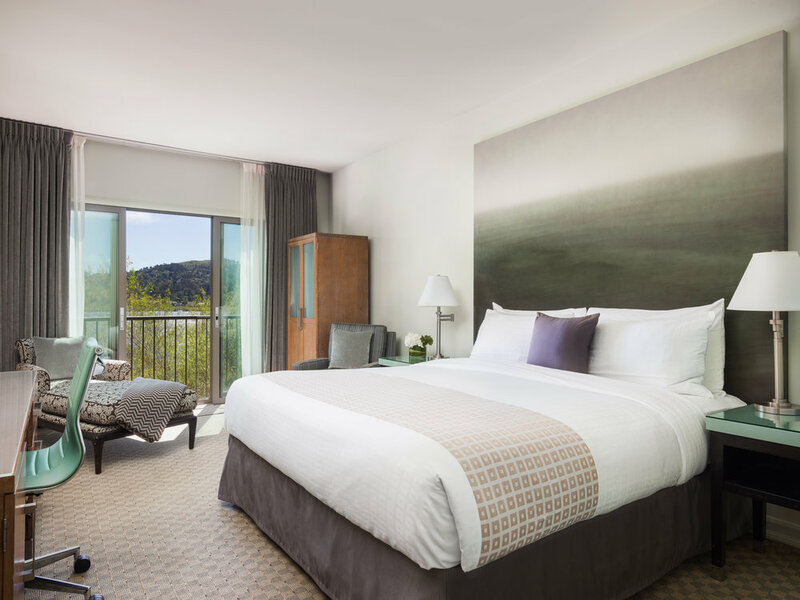 If you’re staying at one of our Marin Hotels, you can pair it with the complimentary wine and cheese we serve during our evening reception. Cypress Tunnel. The famous Redwoods of Northern California get so much love. But we’re here to tell you the Cypress trees are equally spectacular. Especially when they form a tunnel. Park your car near the historic building and stroll the length of the road. The light! The smells! The morning quiet! All are what makes this a go-to when we want a beautiful, easy hit of nature and solitude. p.s. Keep your eyes peeled for wildlife. We’ve seen Tulle Elk, foxes, coyotes, and quail on the drive out to this destination. Heart’s Desire Beach. With an abundance of outdoor spaces in Marin, we usually like to visit a few in one day. In this case, let’s add on a sweet little hidden sandy cove called Heart’s Desire Beach on Tomales Bay. Wade in if it’s warm and/or hike half a mile over to Indian Beach to look at the Miwok tipi-style shelters and explore the coastline. Spirit Matters. Now that you’ve visited a few of the one million places to chill out in Marin, you’re in the right frame of mind to pick up a tangible reminder of your local’s day out. Spirit Matters in the roadside town of Inverness is always on our itinerary, and we’ve never left empty handed. The inviting cottage is filled with Incense, jewelry, crystals, cards, spiritual artifacts, books, and more. Not your usual kitchy spiritual emporium — it’s thoughtfully curated, beautifully designed, and a perfect local spot. Marin Sun Farms. Late lunch at Marin Sun Farms in Point Reyes Station for truly local cuisine loved by locals. The goat burger is always a yes. Side Street Kitchen. We’re just as likely to be found here at lunchtime, with a plate of chicken and chimichurri. Heidrun Meadery. We’re mad about the Meadery! It’s one of those places that makes us feel so lucky to live here. Sparkling Mead + wonderful people + natural setting = perfect way to end our local’s day out in Marin. Oh, we wanted to let you know that we are not commercially affiliated with any of the companies, people, or places we mention on our blog. We don't receive commissions or any sort of compensation. We mention them simply because we believe they have something special to offer you, our guests!